Celtic Woman’s Believe tour kicked off at Nashville’s Andrew Jackson Hall with two (2) performances, February 3 and 4, 2012. I attended with a number of fellow fans, mostly fan forum members. Altogether, forum members, whom I would estimate to number about three dozen, predominated on the first three rows of the theatre. There is nothing like starting out to a show in a distant city with the news from the PBS station: “Your tickets are lost in the mail”. Especially when you have committed the pledged-for tickets to people coming from as far away as Alaska (Tony), Toronto (Neil), Phoenix (Dwight), northern Ohio (Tom) and east Tennessee (Daniel). I tried to imagine having to explain to those far travelers, “Sorry guys, no tickets for us---but maybe we can see Anthony Byrne play bagpipes in the lobby after the show!" At least I had in my possession the meet & greet passes, which had been mailed separately. Somewhat reassuringly, Miguel at NPT had acceded to my request to send me an email confirming my tickets, the seat locations and that I could pick them up from Willcall just prior to the show. However, doubts lingered—what if the guy who knows about the situation calls in sick and the sub doesn’t know or care what I am talking about? As it turned out, Lynn at Willcall had it all down and printed my tickets for both nights without incident. There was some ticket-related drama though: Dwight had lost his M&G pass on the way in to the theatre! In an effort to semi-assure my group about the ticket situation, I had distributed to them the M&G passes on the street before arriving at the theatre. Dwight had lost his somewhere along the way! Lynn at Willcall didn’t offer any solutions. Outwardly at least, Dwight didn’t seem to panic, but it must have created some anxiety at the thought of approaching the M&G without a pass. At that point we didn’t know that Dustin DeRosier would be the one taking them up this tour and thus would probably have believed us. Just then Neil casually walks up and says “would anybody like to buy a M&G pass?”. He had found it lying on the floor in the lobby. He didn’t know it was from our group, but then quickly found out that Dwight had lost his and reunited him with it! Whew! Our group of a dozen members of the Máiréad fan forum was decked out in our concert regalia: buttons depicting the group and individual soloists, including Susan McFadden; versions of our Believe t-shirts purchased at or made up for the Atlanta filming; Believe tote bags with items we hoped to get signed at the M&G and “signs by Thomas” which our illustrious Mr. Troxil had made up and ready to distribute for display at the proper time. I had had a minor crisis: I hadn’t brought cufflinks for my shirt, which required them. The front desk had none. I called our Nashville member host, Jim Allen, hoping he might either have some or know where I could get some. As it turned out, he and most of our group were out touring the neighborhood near the venue and he suggested Thomas and I come down and possibly I could locate a pair. When we got to them they were standing in front of a boutique and Jims smiled and said, “Why don’t we try in here?”. Well, by some amazing coincidence, the clerk had displays of all their cufflinks on the counter and was smiling. “Wow, do you sell a lot of cufflinks here?” I asked? “No”, she replied, “In fact, we haven’t sold in any years!”. I then recognized the handiwork of Mr. Allen, who was just smiling..
Tickets now reprinted and distributed, the next item of business was getting a Believe program from concessions. In doing so, Lo and behold, there was Mitch Levine, whom we had dubbed “Madstone Mitch” and who had been our shepherd through countless meet and greets and from whom we had purchased many a program! He tells me he is tentatively just there for the two Nashville shows and doesn’t know (or doesn’t want to tell me) if he will continue with the tour. Then it is on to the doors of the Andrew Jackson Theatre to be admitted and shown to our seats. Some good news and some bad news await me: I’m in Row B toward the center; the bad news is that our 6’ 8” friend Roy is on Row A in front of me! Do they sell periscopes at concessions? My rescue soon comes in an amazing fashion: Daniel, sitting front row center, had purchased a pair and one was open! He graciously allowed me to take it! Karma at work, as I had done the same thing on several occasions at the Louisville Palace! Thomas distributed the signs with instructions on when to use them and we were then ready for the show to start! The first thing to notice as the show begins, is that the set is of necessity a scaled-down version of the Atlanta Believe set. However, the curtains, the arch and layout of the musicians is essentially the same. There are ample side wings along the stage for fiddlers, dancers, bagpipers and lasses either bent on going to Galway or in stopping another from doing so, as we saw in Teir Abhaile Riu. Conjectures on what would and would not be in the show on tour would now be answered. Surprise: Scott Porter came out as the stage lights rose, to welcome us to the first performance of Believe on tour, as he had similarly in Atlanta. Some of us made a point of punctuating comments with applause where it would be at least semi-appropriate, in order to show him right off he had some eager support. He was followed quickly by David Downes, who likewise welcomed us and joked one of us should be prepared to take the stage should Brian fall asleep at the piano. I suspect that we would have quickly called on Mr. Downes in that eventuality. Anyway, Brian couldn’t have been more awake when he did come out! As the lights went down, a lovely blonde figure bearing a fiddle appears in a darkened archway. Has Chloe learned to play the fiddle? No, the lights go up and surprise, it is Máiréad ! The song is Awakening and with it we get our first glimpse of Susan McFadden. Now, many in the audience might have been in the same spot I was when in November 2007 instead of Meav, out of the spotlight stepped a slip of a girl, whom I later found out was called Lynn Hilary! Who, now, was this girl and where is Lisa Kelly? We had informed several of the folks around us of the cast change and some no doubt were fans enough to have learned it on their own, but for the majority of the audience, it was no doubt a surprise. It was immediately obvious that this Ms. McFadden was beautiful, graceful in motion and fit in well visually with the others; but could she sing? Yes, as it turns out, she can. As we all assumed, Susan’s parts were largely those that had been sung by Lisa Kelly, though not entirely. Both Chloe and Lisa Lambe at times were charged in songs with singing what formerly had been Lisa’s part, but by and large, these parts were now Susan’s. Her voice was beautiful, but not similar to Lisa’s in quality. Would there be the same blend which give Celtic Woman such beautiful harmonies? Not the same blend, but a beautiful one nonetheless. It could have been much worse: imagine a Bette Midler or Ethel Merman-type being inserted into the trio... Instead, we have a blend fully worthy of the lovely melodies of Celtic Woman. Likewise, a largely new Aontas Choir took the stage. New, that is, to Believe. Máiréad Maguire, Dermot Kiernan, Colm Keegan with whom we were already familiar, now joined by Andrea Delaney, Kate Donohoe and a versatile Craig Ashurst who would not only sing in the choir, but do the dancing duties done by Michael Patrick Gallagher on the DVD. The vocal mix was mostly perfect to my ears. They are well-choreographed and very attractive, adding much to the production. This choir must be more fleet-footed in this show than prior shows, but they do it well. Awakening is a worthy successor to The Sky, Dawn and Sun, though it’s hard for me to say that any song is it’s equal. The crowd applauds Máiréad ’s appearance! They know what to expect and are glad to see her! And on both nights it draws a standing ovation from forum fans present and those souls brave enough to join us. The audience at every show should know, in my view, that these artists have an ever-present, though in varying numbers depending on location, group of hard-core fans, whom they are welcome to join. And it is always possible to see those who stand, due in part, to the courage we lend them. Next song is Dulaman! We’re delighted it is still in the show, especially after the popularity Lisa Lambe gave to it in Songs from the Heart. It took us by surprise and I guess that Bodhran players Ray Fean and Andy Reilly are somewhat relieved we have no Dulaman signs to flash them—we’ll have to put Mr. Troxil to work on those.. The spoons are absent this year. I don’t know if they have been abandoned or logistically were just needed elsewhere for other numbers featuring them. Nocturne is next, featuring Máiréad and Chloe. A gorgeous number from two gorgeous girls, movingly performed, just as it was on the Believe DVD. Next, a Máiréad number, The Foxhunter. Here, a comparison in general should be made between the two performances. On the second Nashville show on February 4, Máiréad displayed as much energy as I have ever seen her display at a show! I believe this stemmed from Máiréad ’s recollections of other Nashville shows and a knowledge of how interactive Nashville audiences could be. Chloe said something as much during Green Grow the Rushes, as she assumed Lisa Kelly’s duties of teaching the audience the sing-along: “Isn’t this music city?” Both she and Máiréad knew the Nashville audience could do better than that; and at their urgings, we did! Next was Sailing—Tommy Martin on whistle rather than bagpipes-either one fine from the Top Piper award recipient from the 2011 Irish Music Association awards, recently held. After all, I guess you’d expect a whistle on a ship, rather than a bagpipe (unless it’s sinking). He and bagpiper Anthony Byrne give us beautiful music together, as they would all night. A Woman’s Heart is next and Chloe tells us the songwriter Eleanor McEvoy is present in the house! I’m sure they did the song justice, in her mind. Susan does well on those parts customarily sung by Lisa Kelly. Follow On, er, follows on as the first real solo for Susan. It is here we are able to more clearly contrast Susan’s vocal style from that of Lisa Kelly, who sang it on the DVD/CD. Susan has a beautiful voice. Her stage experience is evident, no doubt seen by David as a must for one singing the Lisa Kelly parts in these numbers. Her beauty does not go unnoticed. She has less of the fan interaction while she sings than Lisa (always a strongpoint for Lisa) at this point; more like Alex Sharpe in that regard. This rendition is received by the audience with much applause. The “McFans” signs we displayed went seemly unnoticed as the lighting and scene swiftly changes for the next number. We’re “McFans” nonetheless. Next was the non-stop excitement from Teir Abhaile Riu, the song I’m sure will be a highlight of every show in the tour. The initial exchanges between Lisa Lambe on the right and Chloe on the left are a sight to behold and very entertaining! How can so much be exchanged through basically nonsense syllables? As Chloe and Lisa proceed from the wings to the center of the stage, out comes Susan as the “voice of maturity” which she does very well. The song is extraordinarily choreographed, the dresses striking and the scenes very engaging, including the brief “flying episode”, which, I must say, gives this workers' compensation attorney nightmares! The song is a worthy successor to At the Ceili and is notably a much more difficult number to perform, to the credit of all involved with its production. Máiréad ’s irreplaceable Granuaile’s Dance follows. A highlight of every show since the beginning, it was a wise decision from the point of audience preference to retain it. Let’s see Jack Benny or Henny Youngman try this! Let’s see ANYBODY else try this! The crowd is delighted with a performance from Máiréad worthy of any she has performed on any tour! To do away with it in the show would be as foolish as to do away with…Danny Boy—which is next! We have seen this one performed a cappella on many a morning show by the soloists. It is no less credible done now with the harmony of Susan McFaddin. The crowd loves it, as we always will. The first act ends with Mo Ghile Mear, in which Ray and Andy love to startle the uninitiated with the opening drumbeat! I pity the poor fool taking a drink and not knowing this is coming, as Mr. T might say! It is ever a good idea to retain this one, which by now has become a trademark of Celtic Woman with this stirring arrangement. Following the intermission comes the favorite Amazing Grace featuring bagpipe virtuoso Anthony Byrne, who enters from far stage-right. We in the front turn toward him to tip the audience off where to look to see him processing. As always, gradually everyone spots him. This arrangement of the traditional hymn is irresistibly moving and the audience commits the slight impiety of applauding, primarily the inspirational pipes we have just been privileged to hear. Green Grow the Rushes is next—the sing-along song led by Lisa Kelly on the DVD but not included on the Believe CD. In Lisa’s absence Chloe has taken up the task of teaching the audience the lyrics. Luckily, there are probably three dozen of us from the Atlanta filming present who already know the lyrics. Luckily for them, we spare them the “waving rushes” imitations. ? After the initial lukewarm response, Chloe challenges “music city” to sing; and so we all do, more determinedly. A very enchanting rendition of the song results. I predict it will be a welcome hit throughout the tour. Next, Lisa Lambe blasts off with A Spaceman Came Travelling! It is every bit as excitingly performed as on the DVD and in it we see what a wonderful addition she is to the group! The choir parts and percussion add considerably to the song. I imagine the audience with “ET” hearts that light up as they excitedly watch it’s performance! It is one to phone home about.. Walking in the Night/Take My Hand is next. I am personally so glad this song was retained from Songs from the Heart. A light-hearted arrangement dominated by an engaging/catchy pipe arrangement for Tommy Martin, Chloe and Susan begin the number, eventually modulating into a Lisa and Chloe duet, finally ending in The World Falls Away featuring all three. Brilliant arrangement by David which was rightfully and fittingly included in this show. The Water is Wide is a moving and imaginative arrangement from David of a song spiced up with stirring pipes and vocals far different than was probably contemplated by the simple song which came down to us over the years. I personally prefer Orla Fallon’s simple version with harp, yet applaud David for attempting something more with this song. Susan does a great job with it, as did Lisa Kelly on the DVD. Ms. McFadden’s introduction and entrance into “Tribute to Broadway” was reminiscent of a fish leaping into a pool of water! She is in her element—and it shows! Susan’s I Dream a Dream, joined later by Chloe, was perfect! Circle of Life was wonderfully and entertainingly transitioned into by Lisa, the choir and the percussion (including Anthony Byrne, no less on drum!) for a wonderfully moving number that the young people in particular will love. An unquestionable highlight of the show is Chloe’s Ave Marie. A much more intricate rendition than we heard from her those years ago at the Helix, her masterful interpretation and backup from the choir in a very big arrangement from David were most impressive and moving. Chloe is the boss when it comes to classical singing. You Never Walk Alone, sans a children’s choir, is very movingly performed. In these songs in which the children’s choir sang on the DVD, the choir parts are seemingly augmented, though I must admit I didn’t listen closely enough to note if the children’s parts are retained in the soundtrack. The Máiréad number called Women of Ireland was next. Featured on the Believe DVD, the song most memorably devolves into a “duel” between Máiréad and a dancer—here very ably performed by Craig Ashurst, who steps out of the choir to masterfully dance the part played by Michael Patrick Gallagher on the DVD. A high-powered Máiréad number for sure, highlighting the talents of both. Fans of dance will particularly find this song to be a highlight of the show and will marvel at its performance here. The most emotionally moving song for me followed: The Parting Glass. It brought tears to me in Atlanta; to hear Lisa Kelly sing the words “if I should rise and you should not”. For me, the firing of the confetti cannon brought emotional connotations of young men felled by grapeshot from cannon in countless battles across the centuries, chance seemingly determining who will be spared. More benevolently intended, I’m sure, as an Irish version of Auld Lang Syne. It is a fitting farewell to climax the end of the show. But, the audience would not let it end the show. A standing ovation by the entire house both nights demanded an encore there in Nashville! And they were ready for it with Mo Ghile Mear Reprise. In it is Máiréad a la Jimi Hendrix’s Foxy Lady wrapped around the theme of Mo Ghile Mear, followed by four measures of solo from each of the instrumentalists and concluded by a rousing set of bows featuring the whole cast! To this year’s reprise is added a dancing solo by the talented Mr. Ashurst! The show ends with the audience on its feet and sad the show has concluded. At the meet and greet which followed, I was relieved to see that it would be conducted by Bubba Dixon and Dustin DeRosier. They were very able, courtesy and helpful to us last year at the meet & greets and we found them no less so Friday night. The gracious custom of allowing candidate shots of with the soloists from the tables at which they were seated to sign was continued. No problems selecting the five (5) items to get signed at this point in the tour: the Believe program, DVD, CD; the Christmas tour program and any of the new paraphernalia we had purchased. We were delighted at the announcement that we would have Lisa Lambe and Chloe Agnew as our soloists that night. Although I had seen them both in December in Pittsburgh and at the Atlanta filming in September, I had not had them in M&G since April and May of last year. They are such delights individually; when you put them together it is doubly so! I’m always amazed at how they can write so much while carrying on a conversation! When you get some leisure time and read what they wrote you wonder “How in the world did they write all that while maintaining a coherent conversation?” We showed them the buttons we wore which had been produced depicting Susan and they were complimentary of them. It had been just a year earlier that we sported a new one bearing the likeness of Lisa Lambe! 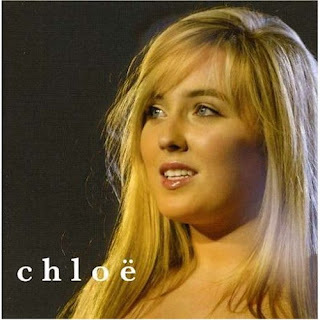 Chloe mentioned having seen Lisa Kelly just before she left Ireland and said she was doing well. Meanwhile, everyone with even the semblance of a camera snapped away! All too soon we were through the line and it was time to go. Following Saturday’s show, only a private M&G was held, I gather for NPT personnel and donors, although no announcement as such was made. Consequently, the rest of us congregated in the lobby and listened to Anthony play the bagpipes. As we proceeded to leave at our usual snail’s pace, we saw David Downes leave. Ray Fean and Colm Keegan stopped to talk to us a while. Jim M saw the soloists depart in a SUV. We, of the Máiréad fan forum, had a post-show recap at the Italian restaurant nearby and discussed our adventures. Soon it was time to bid our goodbyes and prepare for an early departure for most of us the next morning. In conclusion, the Nashville Believe shows introduced to us the most promising Susan McFadden, who will be substituting for Lisa Kelly this tour and found her to be a wonderful choice in this role, as we were sure would be the case via her selection by musical director David Downes. We look forward to seeing her and getting to know her better as the tour progresses. We hope David remembers that once upon a time not too long ago there were in fact four singing soloists in Celtic Woman. By all means, see this show this tour, recalling that there is no scheduled 2012 US fall tour, rather one is scheduled for Europe. Don’t miss your chance to see them this year in Believe, “what ‘ere befall”. AMAZING AMAZING review!! Gets me more excited for my show in St. Louis in April. Wish it wasnt so far away. Thank you! April's a bit further this year--with Leap year giving us a Feb 29! LOL! Dont ya know it!! It just seems like forever from now. Normally they are through here earlier than that..oh well, at least I get to see them. Very good review! Loved it! No, sadly to many who love Spanish Lady. The new encore is Mo Ghile Mear Reprise at this point. Thanks for the review! Enjoyed reading it! nice review! makes me nerous about the tickets coming 2 weeks before tghe show. very nightmarish and they prob. will have a fall tour, its just really super early to announce yet where they'll be! and through 2013 i think! bso no worries! this won't be the only time they'll tour believe in the states! they have a lot ahead of them! on that note I am glad you guys had a good time and worked everything out! Aww! That saddens me! I loved how they've done Spanish Lady after Finale every time! And I really loved the version with the newer vocal arrangements and Lil Lambe's harmonizing! Thanks for another outdstanding review John! Glad everything worked out with the box office and no one was left on the outside lookin' in. Have a great time at all the shows you make this year. My lost Nashville tickets just arrived in the mail today! Thank goodness NPT was willing to help with the problem which I had advised them of repeatedly before I showed up at the venue! One woman hadn't and I heard them tell her they couldn't help! John,Green Grow The Rushes is on the Barnes and Noble extra tracks CD along with Smile.